What led Theresa May to ‘seize the day’ by promising us more grammar schools? Some have suggested it was a clever tactic to distract us from Brexit; others that it was to placate the old traditionalists in the Conservative Party who have never given up on selection. 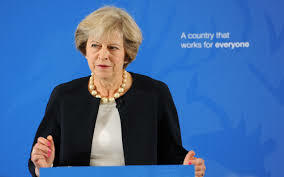 More likely it is a bright idea emanating from Theresa May’s youthful policy makers to appeal to voters who think it will give their children an edge in today’s competitive environment. Perhaps they believe these voters will be grateful that their children can take yet more tests which the majority of children will fail. But it will certainly make lots more money for producers of test and practice papers such as Durham University’s Centre for Evaluation and Monitoring (CEM). Credit must apparently go to Theresa May’s adviser Nick Timothy, whose beard makes him look older than 36. Timothy apparently thought that attending a grammar school in Birmingham gave him such a boost that other working class young people should have the same. He is too young to remember that Birmingham reorganised its secondary schools in 1972, with 112 comprehensives, just 8 grammars and 42 special schools. (Pupils at the latter are now mainly incorporated into the non-selective comprehensive schools.) Timothy’s grammar school apparently led him to the heights of Sheffield University to study politics, while of course thousands of other young people from the Birmingham comprehensive schools were also moving into universities, some even to the hallowed halls of Oxbridge. 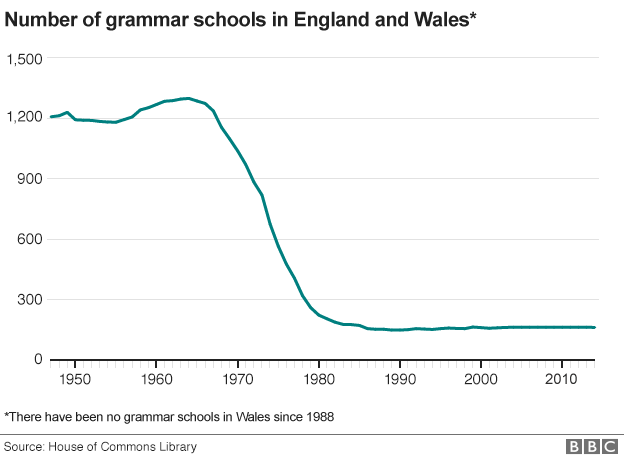 Opening more grammar schools is actually an extension of the creeping growth of selection in England’s academised secondary phase. According to Education Minister Justine Greening, the grammar school resurrection will be just another way of offering parents ‘choice’ of schools, along with Academies, remaining Local Authority schools, Free schools, Faith schools, Special schools, Alternative Provision, and so on. But underlying all this is a more serious and long term logic. What Raymond Williams called The Long Revolution (his 1961 book of that title) was a protracted struggle, from the industrial revolution onwards, for ordinary people to gain voice, opportunity, and justice. It was always opposed by those who believed mass education was dangerous. Bernard Mandeville, 18th Century philosopher, believed that any education for the working poor made them insolent and insubordinate. Early 19th century Members of Parliament believed that education would teach labourers to despise their lot in life, and worse, enable them to read seditious pamphlets and vicious books. The later 19th century view was that minimal education for the working class was necessary to improve the economy, but it should be set to a minimum. Education was to reinforce social distinction and separation. Secondary education in the early twentieth century was firmly based on a superior education for the upper middle class in private schools; a hierarchy of fee-paying grammar schools for the middle classes (with a small number of ‘able’ working class children given scholarships); and elementary schools for the working classes. In 1939, 88% of children were still leaving school altogether by 14. At the end of World War II, popular arguments in favour of expanding secondary education for all culminated in the compromise of a tripartite system of grammar, technical and secondary modern schools. Underpinning this was the theory that intelligence is basically genetic. Supposedly ‘academic minds’ were best catered for in grammar schools and those born with practical and manual brains would be most suited to secondary moderns. Following pressure from below, comprehensive schooling actually expanded when Margaret Thatcher was education minister in the 1970s, resulting in over 90% of pupils attending comprehensive schools by the early 1990s. It is not disconnected that 33% of young people were entering Higher Education by 1993. The remaining 164 grammar schools gave some people hope for the eventual restoration of ‘a grammar school in every town’. Grammar school supporters argue that they brought social mobility. They prefer to ignore the evidence that the 20% of children who got to grammar schools from the later 1940s were overwhelmingly middle or lower middle class, and that the main cause of any social mobility from manual worker families to non-manual jobs was the expansion of white collar jobs. “We are beginning to create aspirations we cannot match… we have to select, to ration educational opportunities.. people must be educated once more to know their place” (Ranson 1984:241). If economies cannot employ all their educated populations it makes a kind of economic sense to reduce the numbers by more competitive selection. New life is being breathed into long discredited arguments that poorer children grow up poor because they are genetically stupid: the ‘deprived brains’ of the lower class poor leads to low educational achievements, poor employment prospects, criminal behaviour and drug taking. This entry was posted in Social Justice and tagged academies, comprehensive schools, grammar schools, politicians. Bookmark the permalink.